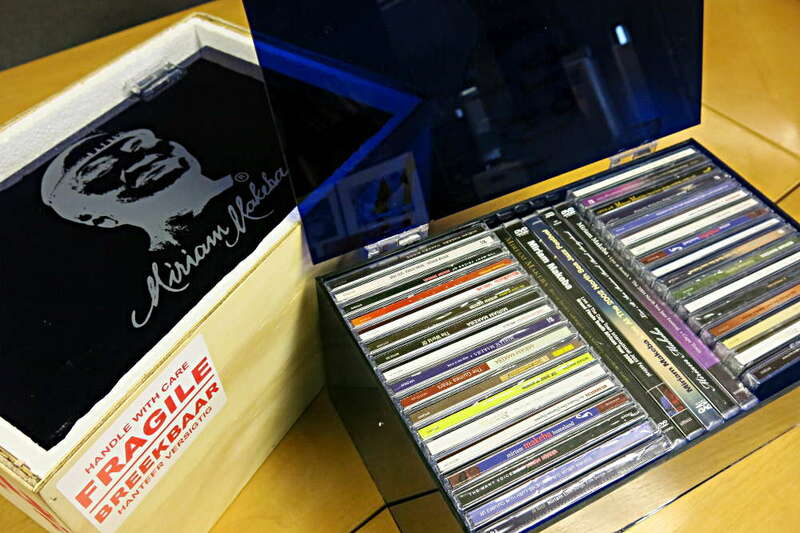 Box Set of the best albums. 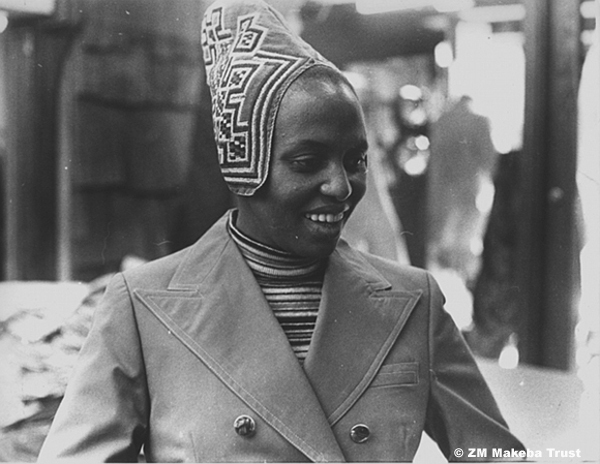 "The Trust shall be devoted to to maximize the benefits accruable to the beneficiaries and its principal objects shall be the safeguarding of all the intellectual property assets of Z M Makeba"
Miriam Makeba had spent (then) 52 years plus building her intellectual property assets which she then assigned to the ZM Makeba Trust. 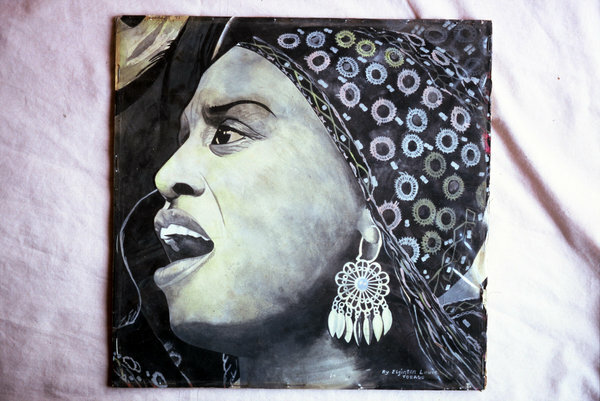 Miriam Makeba, was, amongst many things, a woman of great vision who saw far into the future, and with her uncanny and acute sense of history, she determined that her legacy was to be of benefit to her family, and by consolidating intellectual property, she determined that her legacy would also be of benefit to her community, her culture, her country and indeed all the world ...and should never be abused. The ZM Makeba Trust is responsible for the safeguarding, protection and maximizing the benefits accruable, in,to and from all Miriam Makeba's intellectual property assets, including her copyrights, trademarks, URL, image rights, archives, performance rights, naming rights and the like. 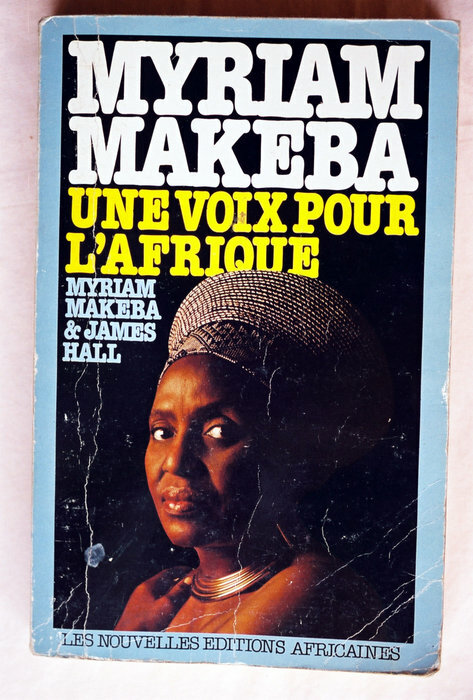 During the last ten years of her life Miriam Makeba made a conscious effort to locate, source and secure all intellectual property rights to the ZM Makeba Trust. 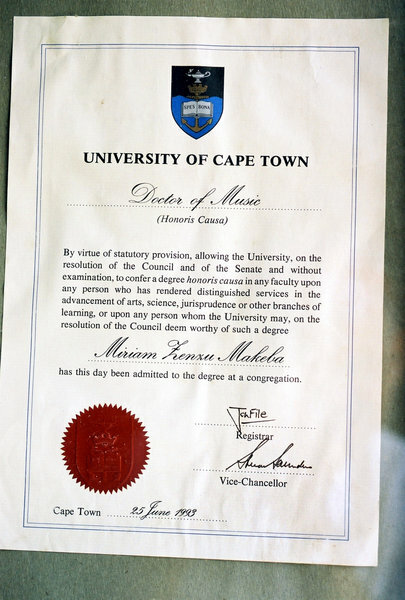 She was successful in her efforts. 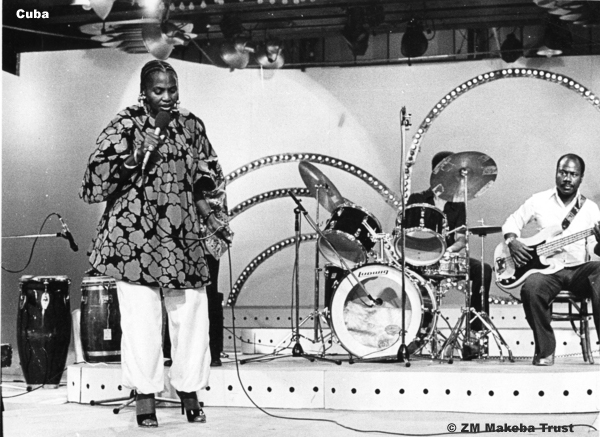 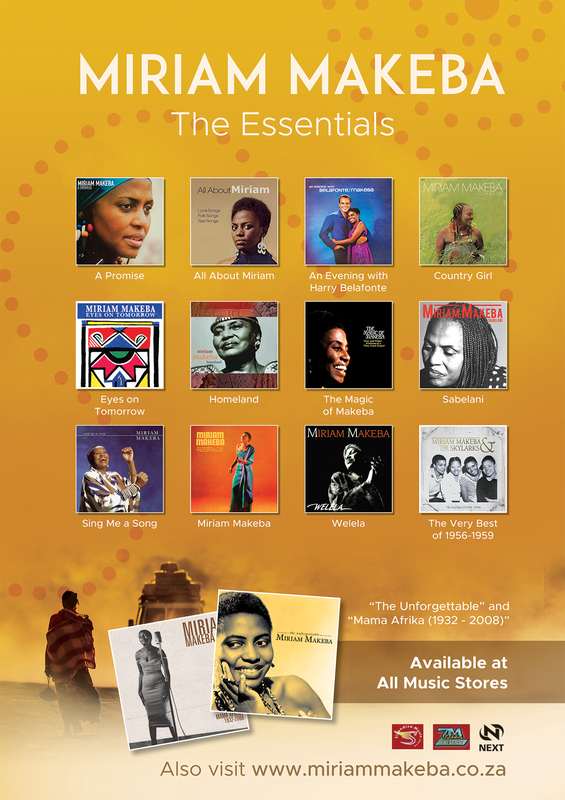 Miriam Makeba is a registered trademark owned by the ZM Makeba Trust. 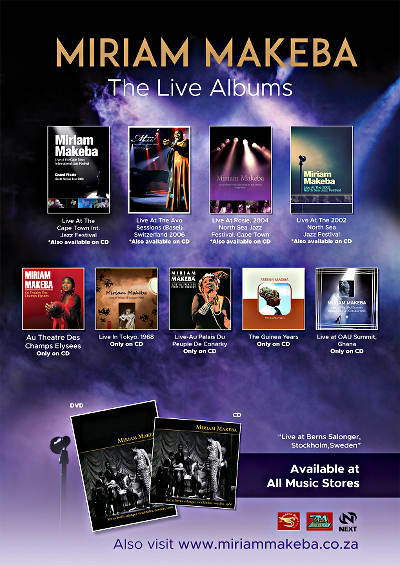 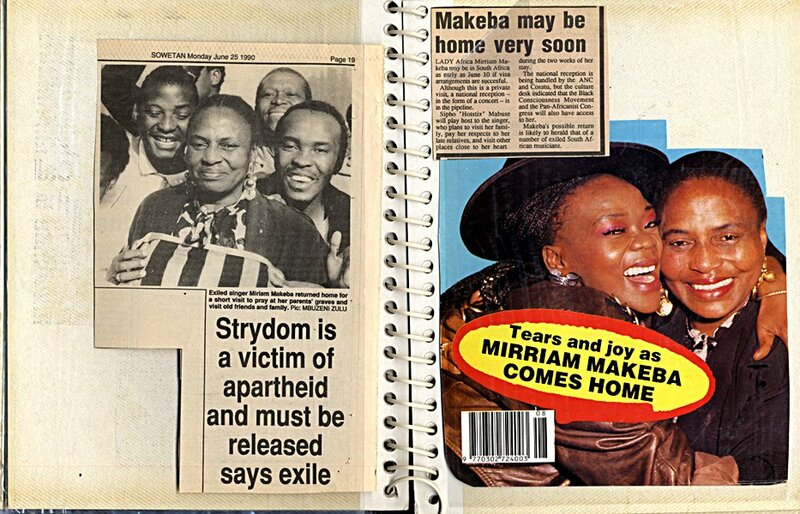 The ZM Makeba Trust is the sole owner, for the purposes of trade and business, of Siyandisa Music (PTY) Ltd. All licenses concerning Miriam Makeba’s intellectual property are granted and authorized by Siyandisa Music (PTY) Ltd.
Any party or organization or institution or individual that wishes to make use of the name Miriam Makeba for any reason, commercial, con-commercial or otherwise needs please to communicate with ZM Makeba Trust, and arrange clearance for the use.